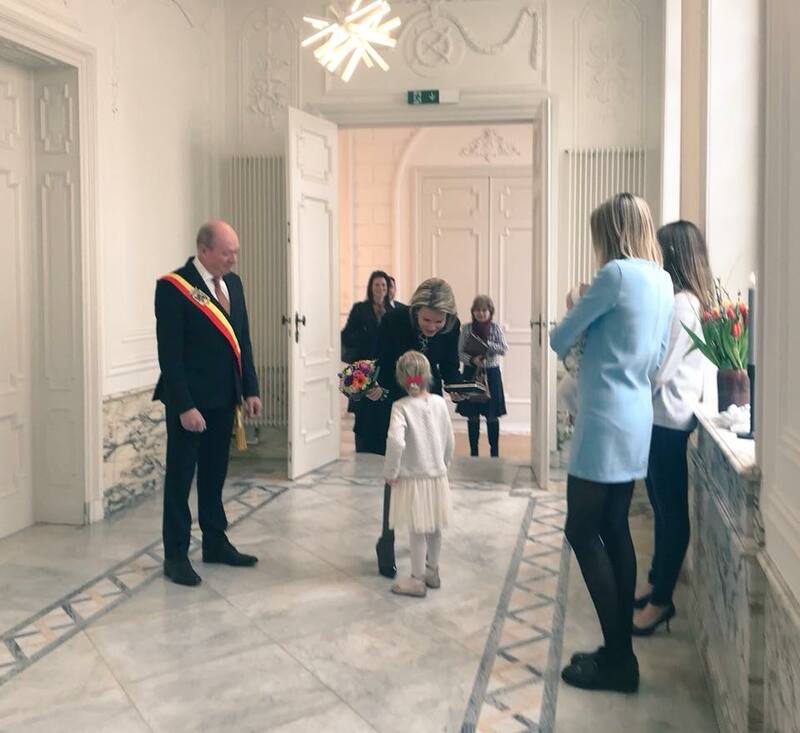 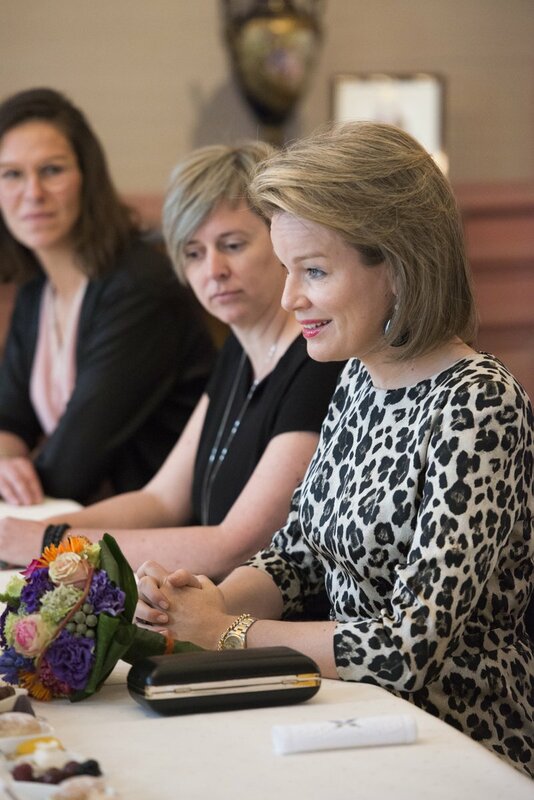 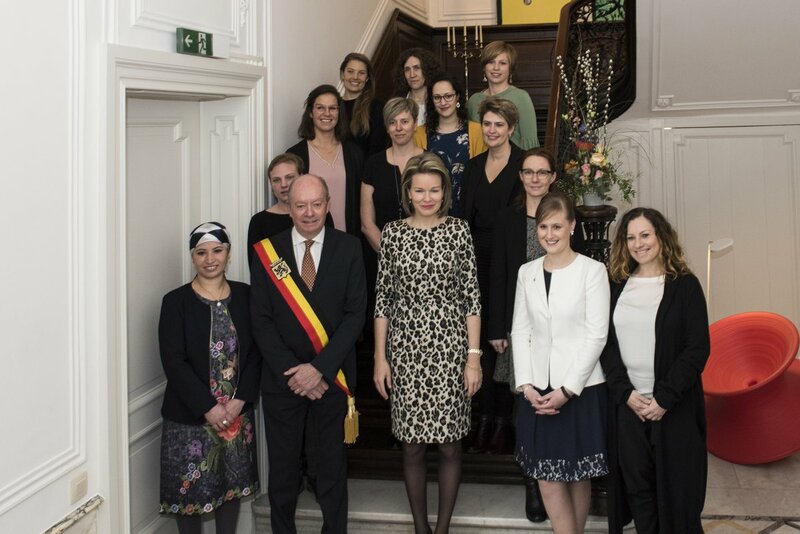 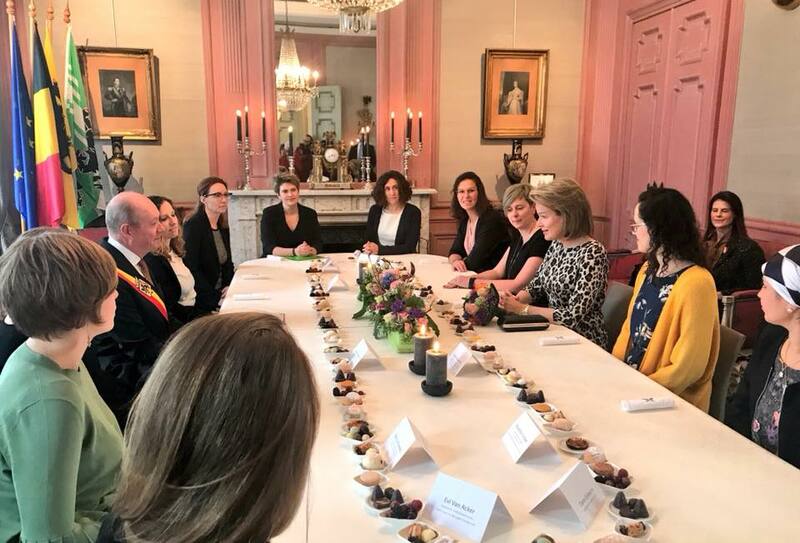 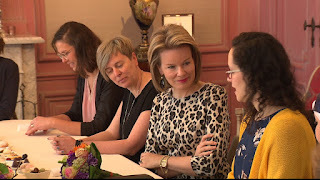 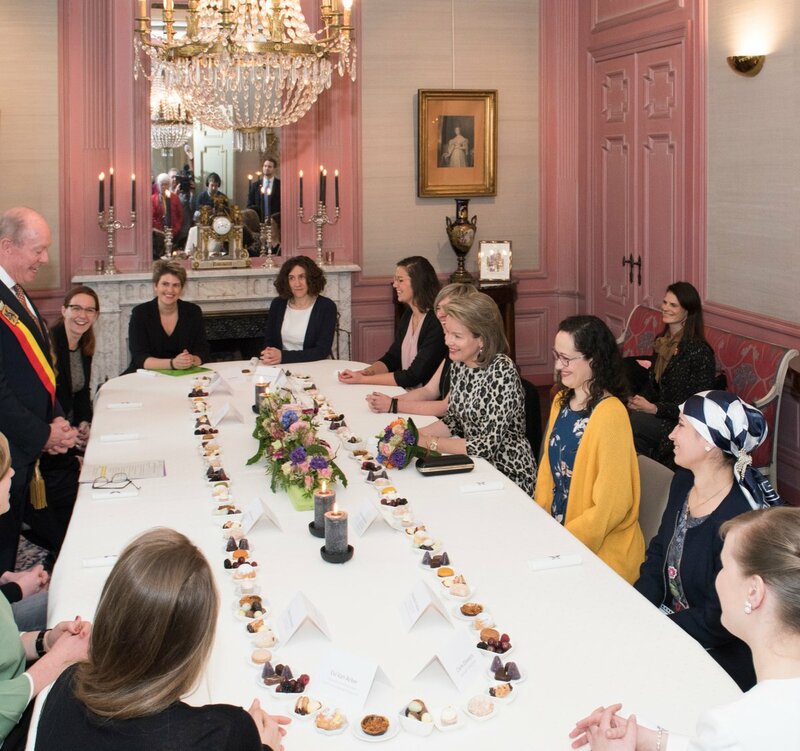 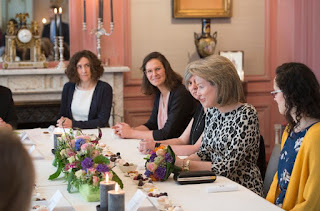 For International Women's Day, queen Mathilde met a selection of leading ladies from the province Oost-Vlaanderen, at the governor's residence in Ghent. - Associate Professor of Gender Studies at Ghent University, Chia Longman. 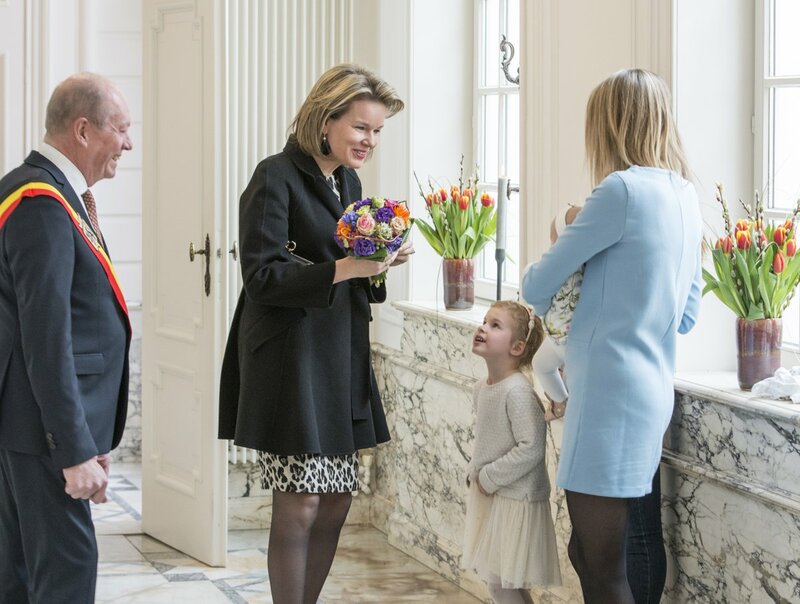 - Olympic sailor, Evi Van Acker. 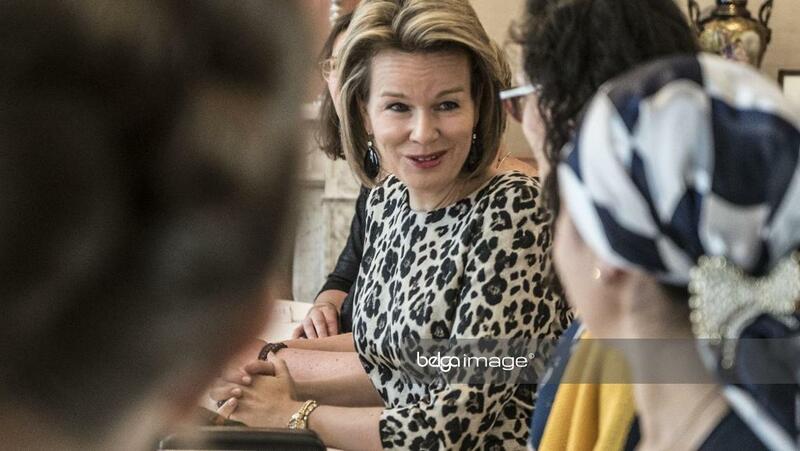 - Entrepreneur Wendy De Tandt.